Aside from being the name of a horrible MJ musical, it was the team name of the Kansas City MLS team for years. Bearers of a rainbow uniform, it was just so fun and easy to make a joke of them. That said, they were also home of one of the greatest goal celebrations of all time, what with Digital Takawira's "Digital Crawl". 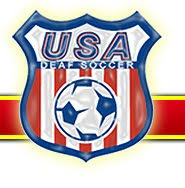 So it is with heavy heart that we say good by to yet another soccer team. Wait, you haven't noticed all the WPS teams dropping like flies? Yeah, well, this one is a storied MLS franchise. Say goodbye to the Wizards... We'll truly miss you. And hello to Sporting Kansas City. Sporting Kansas City was unveiled as the new identity of Kansas City’s Major League Soccer club on Wednesday in a historic announcement held at KC Live! at the Power & Light district downtown. The club, formerly known as the Kansas City Wizards, launched the Sporting Kansas City era with more than a thousand supporters in attendance and presented the signature elements of the organization’s new look, including a strategically designed crest, carefully chosen colors and bold new uniforms. Mexican icon Omar Bravo, who recently completed his loan to Chivas Guadalajara, attended the launch wearing the team’s new home jersey on stage in his first appearance in Kansas City since signing with the club in August as a Designated Player for the 2011 season. Sporting Kansas City will enter the 2011 season, the 16th year of Major League Soccer in Kansas City since joining as an inaugural club in 1996, with not just a new name, but also a new $180 million, state-of-the-art stadium currently under construction in Village West in Kansas City, Kansas. The venue, scheduled to open in June 2011, will seat 18,500 soccer fans and features a roof canopy that will cover every section of the stadium. Fans can take a virtual tour of the stadium by visiting www.SportingKC.com/VirtualVenue. The stadium will be available to host a variety of professional sports and entertainment events, including the potential of hosting the U.S. Men’s and Women’s National Teams, professional boxing and major concerts, and will feature an 1,800 square feet HD video board on the south end and a 250 square feet video board on the north end. Wednesday’s event, broadcast live on Metro Sports, Sports Radio 810 WHB and through the Reyes Media Group, was the culmination of a long-term process in which the club’s ownership group sought to revolutionize the way a professional sports team connects with their fans and establish a brand that will best represent their vision to bring additional sports properties to the Kansas City market. Sporting Kansas City will continue to embrace and celebrate the history of the club, which won an MLS Cup and Supporters Shield in 2000, and also won the Lamar Hunt U.S. Open Cup in 2004. The jersey will continue to don the star above the crest representing the MLS title and the linear history will remain intact going forward under the new name. The club crest, which will be used as the team’s primary logo effective immediately, is a combination of symbolic elements to reflect the distinct history, culture and geography of Sporting Kansas City, as well as the vision for the organization. The crest pays tribute to the original Wiz shield and its upside-down teardrop shape that introduced the team to Kansas City and serves as a permanent tribute to the tradition of the club. The words “Kansas City” arch across the top of the crest, with their position at the crest’s highest point symbolizing the local ownership group’s commitment to their hometown. The name Sporting, prominently written inside the shield beneath Kansas City, represents the vision of Sporting Club to integrate additional sports and entertainment properties into the organization, with Sporting Kansas City as the foundation for future enterprises, and transform the way a professional sports team connects with supporters. The left side of the crest features 11 diagonal lines, a nod to the starting 11 players of past, present and future that have played for Kansas City, and are comprised of six Sporting Blue lines separated by five Dark Indigo Blue lines between them. The Sporting Blue color will be the primary color for the team and their uniform, previewed at Wednesday’s announcement, and is similar in shade to the original Wiz blue that club founder Lamar Hunt selected as the team’s identifying color for the inaugural season in 1996. The right edge of the lines forms a shape familiar to all Kansas Citians, signifying the state line between Missouri and Kansas. 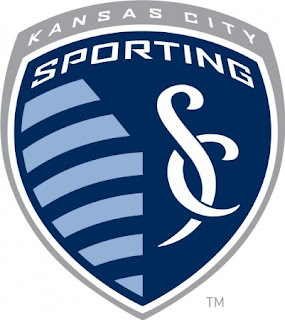 Sporting Kansas City has roots on both sides of the state line, with the new stadium being built in Kansas City, Kansas and their current offices and training facilities located in Kansas City, Missouri. Finally, a stylized SC ligature fills the right side of the crest as an iconic image linking the team to its parent organization, Sporting Club, while also drawing inspiration from individual elements: the rod of the Greek god Ascelpius (health and fitness), the Hellenistic statue of Winged Victory (strength and movement) and the Spanish architecture of Kansas City’s renowned Country Club Plaza. In conjunction with the change, additional information on all elements of the club brand can be found online at www.SportingKC.com/brand. Additionally, logo files are attached to this release as a reference for related properties and events. An official Sporting Kansas City Brand Sheet is available here. 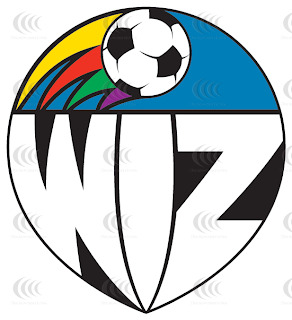 Please Note: The Kansas City Wizards name and logos are no longer in use. Please do not use those marks except for instances of historical reference. Way back in 1996 when MLS launched, we all said the only team without a terrible name was DC United, the rest all need to change their names to simply the name of the city, like, oh, I don't know, FC Dallas! Anyway, that first season when they were the Wiz (not the Wizards, damn it!) I remember six college age kids coming to a game in yellow T-shirts with toilet seats around their necks, and the shirts spelled out "G O W I Z !" They were not allowed to wear the toilet seats into the stadium. I also was one of several supporters removed for throwing toilet paper after a KC Wiz goal.